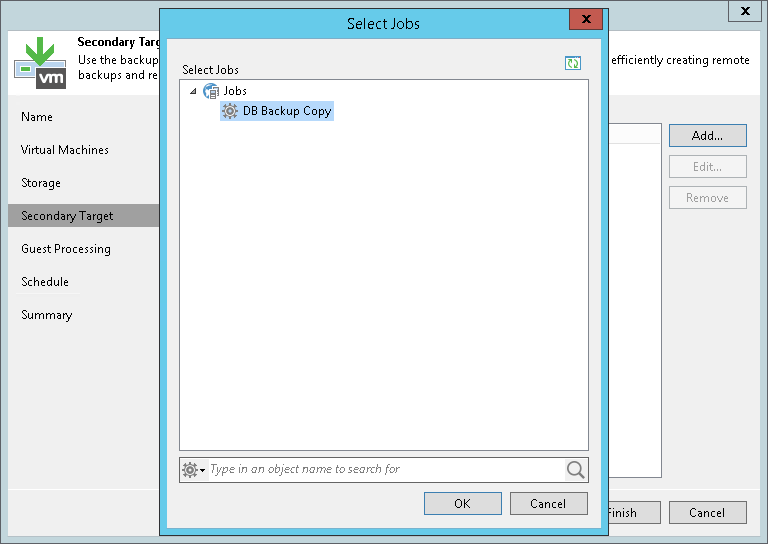 You can link backup jobs to backup copy jobs. 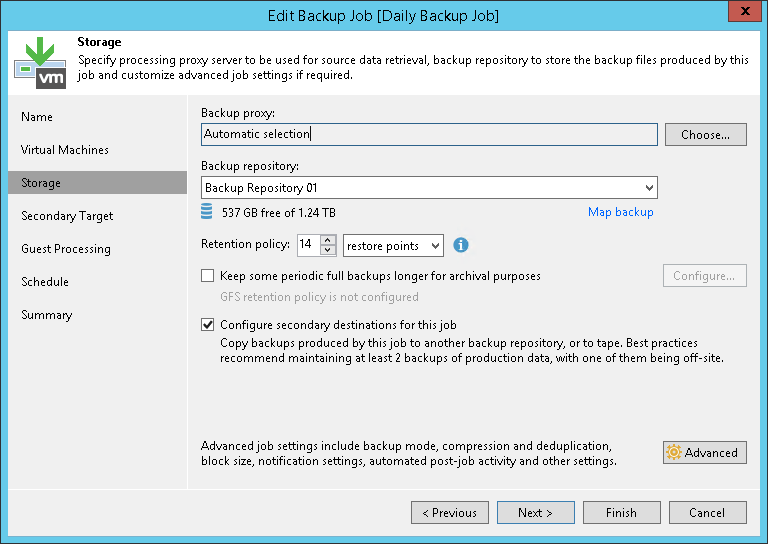 This option lets you create a secondary target for the backup job and store backups created with the backup job on the secondary backup repository. When you link a backup job to the backup copy job, Veeam Backup & Replication automatically updates properties of the backup copy job and adds to it the backup job as a source of data. The backup copy job starts monitoring the backup job linked to it. During every backup copy interval, the backup copy job checks the source backup repository for new restore points. As soon as a backup job session is finished and a new restore point appears on the source backup repository, the backup copy job automatically copies this restore point to the target backup repository. At the Secondary Target step of the wizard, click Add and choose a backup copy job to which the backup job must be linked. The backup copy job must be already configured on the backup server.